I recently noticed that my site (http://infoheap.com/) which was hosted on AWS North Virginia data center was very slow. I was accessing it from Airtel broadband (Bangalore, India). When I checked with a friend who is using a different broadband, he found the site loading as usual. Egyptian authorities arrested three men off the coast of Alexandria for attempting to sever an undersea Internet cable. The SEA-ME-WE 4 main line was part of a cable network that spanned the Mediterranean and connects Southeast Asia, the Middle East and Western Europe and has 39 landing points, including Alexandria. As per this amazon forums thread, there were no service wide issues in the US-East Region. As per AWS service health dashboard also things were fine. I was also able to see from apache logs that latency to serve pages and images were fine. 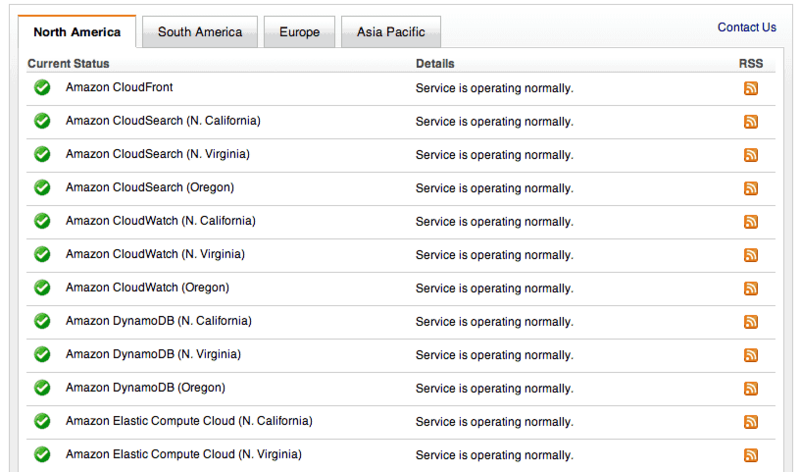 So it means that at least some users were being served and being served ok.
Are things fine in AWS data center? Are servers up? Is webserver processing the request on time whenever it is receiving a request? Answer: This part seems to be ok as per apache log. Now there may be routing issue from user to server. This could be related to Egypt cable incidence. Answer: It seems non-trivial to find answer for this. Will it be better to shift servers to a different data center? May be califonia or may be Asia pacific (singapore)? Answer: Overall if your users are not specific to a country, I think its better to be hosted in US. Is this problem only with Airtel broadband in India or other broadband providers also? May be a specific broadband providers is not using optimum routing algorithms. I’m assuming routing algorithms are based on cost and latency. If cost factor is more, we may have more latency when a link is broken or slow even if there are better links available. Answer: At least one ISP did not have this issue at a specific time. So seems like not all ISPs are using same route. Overall I found the server I migrated to north california was responding better. I’ll watch it for some more days. This suggest that Airtel’s routing via London is not working well. Its nice to see Amazon support folks being proactive in following up with Airtel on this. Its hard to draw any conclusion from this analysis which applies to all contexts. I think we should look at various factors like server availability in data center, routing path taken, local broadband provider, etc. and analyze the situation and take an action if needed.